Keep your property protected with this versatile Codelock CL410 Push Button Digital Door Lock. 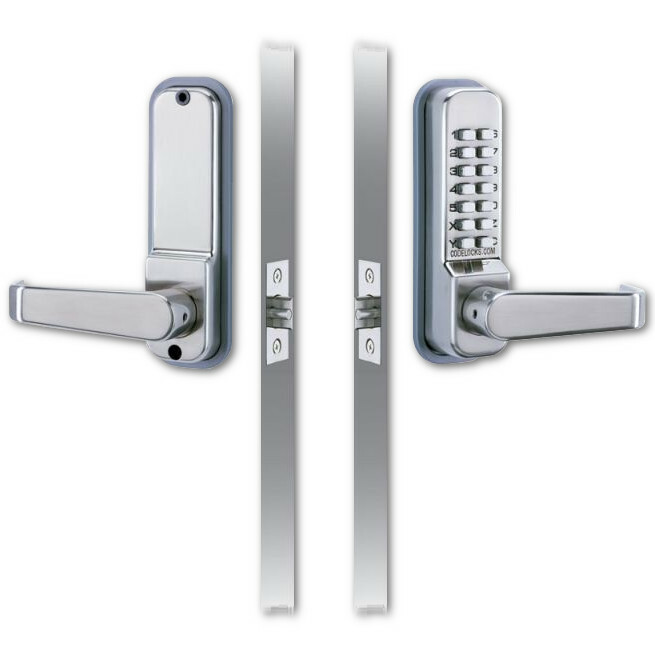 The Codelocks CL410 Push Button Digital Door Lock is a medium duty mechanical tubular mortice latch with lever handles. Once your 4-6 digit code has been correctly entered, the outside lever handle will retract the latch. The spring loaded latchbolt will automatically locks when the door is closed. The product features a protective clutched handle mechanism and a weather resistant PVD finish; making this digital door lock a reliable non-handed unit which is suitable for both indoor and outdoor use. There are over 8,000 non sequential codes avaliable to use, but you also have the option of a code-free entry.